Philips has introduced its new 31.5-inch display aimed at a broad set of professional workloads. The Brilliance 329P9H is a 4K LCD that has a USB Type-C port and features a built-in webcam and a GbE connector. In addition, the monitor has an integrated light sensor as well as a user detection infrared sensor that are used to automatically adjust brightness. One of the key features of the Brilliance 329P9H is its USB-C docking capabilities designed to make life of people with modern laptops a bit easier. The display supports DisplayPort Alt mode over USB-C and can deliver up to 65 W of power to the notebook (enough to feed a 13.3-inch class laptop). Furthermore, the monitor has a GbE port that is required by many enterprises. It also has a Windows Hello-compatible webcam. Besides, the LCD has a quad-port USB Type-A hub and a KVM switch. 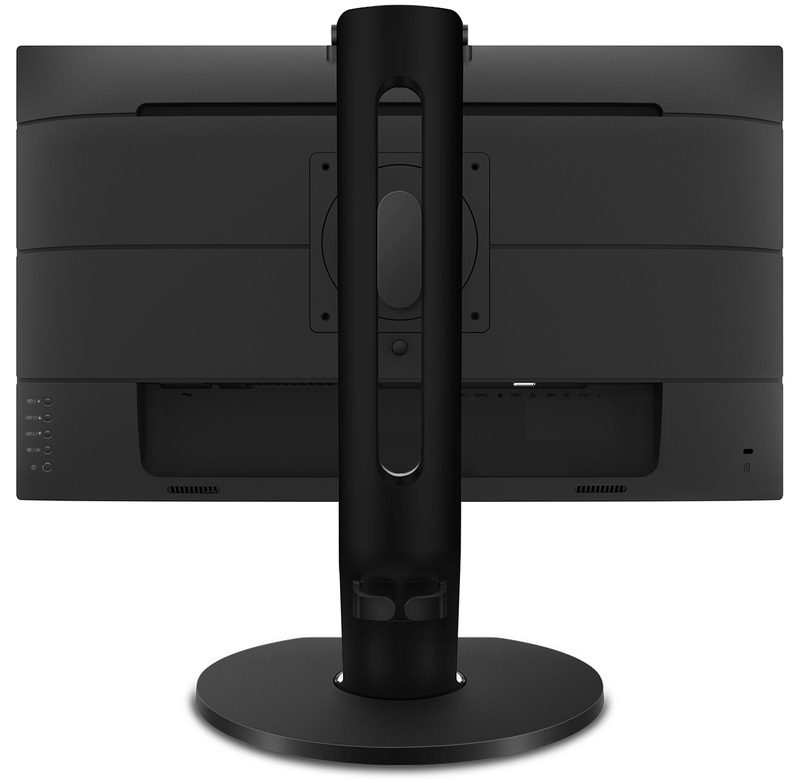 The Brilliance 329P9H can be connected to a PC using standard DisplayPort or HDMI cables. Other notable technologies supported by the display are the PowerSensor and the LightSensor. The former monitors user presence using an infrared sensor and reduces brightness when the LCD is not in use. The latter monitors environmental lighting and automatically adjusts luminance to save power. Philips says that reduction of brightness after the user steps away from the desk cuts energy costs by up to 80%, but obviously a lot depends on usage scenario here. 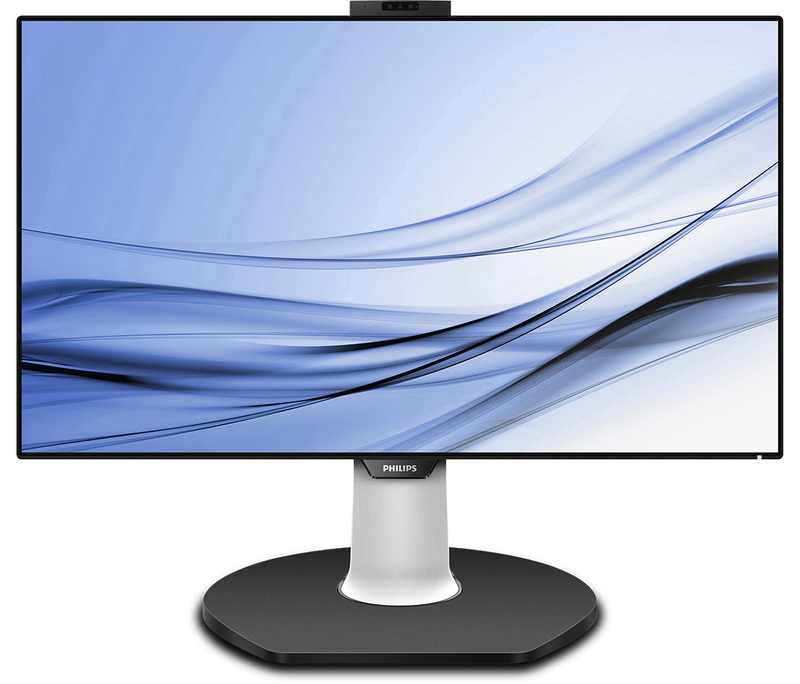 The Philips Brilliance 329P9H is based on a 31.5-inch panel featuring a 3840×2160 resolution, 350 nits brightness, a 1300:1 contrast ratio, 178 degrees viewing angles, a 5 ms GtG response time, 60 Hz refresh rates, and so on. The LCD uses a WLED backlighting and has a 3H anti-glare coating. While the Philips 329P9H monitor is not exactly aimed at designers and professionals that use color-critical software, the monitor can display 1.07 billion colors and supports a wider than usual color gamut, covering 108% of the sRGB, 90% of the NTSC CIE1976, or 87% of the Adobe RGB color spaces. Furthermore, Philips ships the monitor factory-calibrated to a Delta E < 2 accuracy. Last but not least, the Brilliance 329P9H comes with the SmartErgo Base that can adjust height, tilt, and swivel. In addition, it can rotate the display by 90 degrees for those who need it. 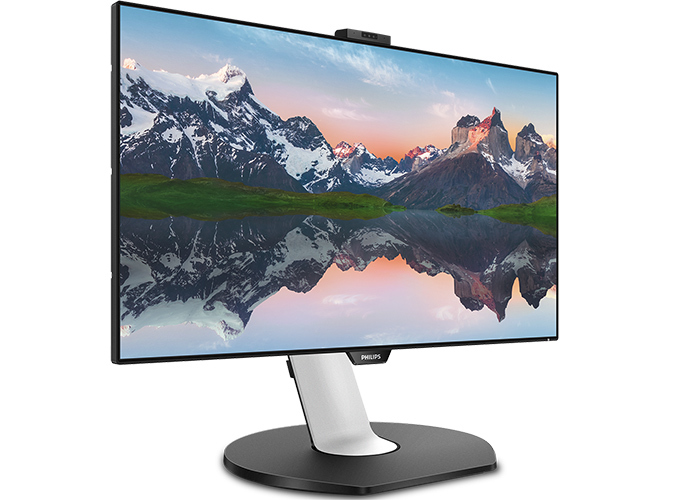 Philips has already started sales of the Brilliance 329P9H monitor in the UK. The recommended price is £809, so expect MSRP of around $899 in the US. Edit 4/9: Philips has issued a retraction, stating that the 329P9H does not have a KVM switch. Our story has been updated. Not everything caters to gamers or gaming. iPad Pro have 120Hz display and it handles scrolling much better than 60Hz. 120 Hz is very beneficial for any screen that you watch TV or movies on, because it allows most common video framerates to be cleanly multiplied to match without any judder from 3:2 pulldown or other trickery. With a 60 Hz display you can usually run it in a 48 Hz mode (and can often also overclock to 72 Hz) to get smooth playback of 24 FPS content, but mode switches are annoying (especially if you have a few hops in your HDMI chain that all have to re-sync). Variable refresh rate also solves the same problem and is technically better, but is a lot rarer than 120Hz.